This year’s event explored innovative approaches to using capital for social impact, with panels on mainstreaming impact investing, creating place-based impact, and strategies for impact investing. 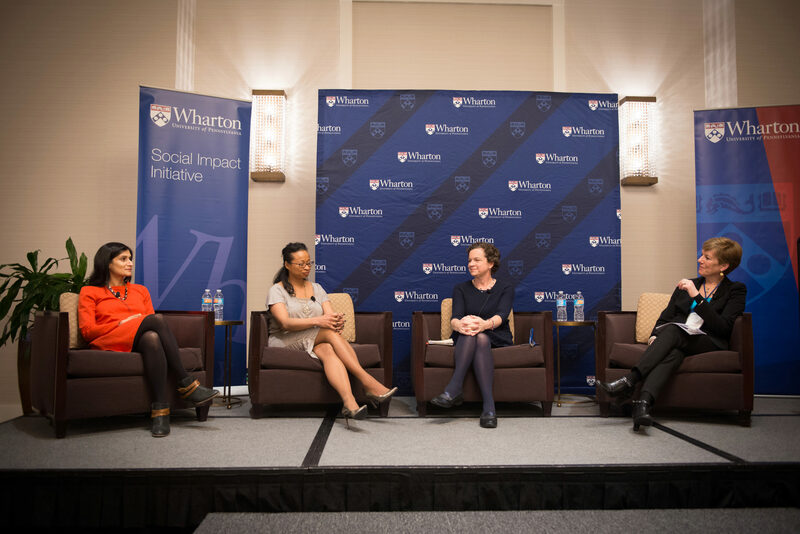 Leveraging Wharton’s unique value as the foremost research-led business school, we approached this conference with an “industry-meets-academia” mindset. We sought to highlight the value of translating research to help inform industry practice, and to share how those insights can affect day-to-day business. Speakers included: Surya Kolluri of Bank of America Merrill Lynch, Liesel Pritzker Simmons of Blue Haven Initiative, Wharton professors Chris Geczy and David Musto, Simone Brody of What Works Cities Program, Allison Clark of The MacArthur Foundation, Dalila Wilson-Scott of Comcast Foundation, Suzanne Biegel from Women Effect and Wharton Social Impact Initiative, and Brian Trelstad of Bridges Fund Management. Keynote speakers Bobby Turner and Erika Karp spoke about the challenges of bringing impact to scale and of transforming the world of finance (when the industry is often not keen to change). The lively conversation continued well into the evening, and also extended to social media; you can view a recap of Twitter highlights here. Have ideas for future conference topics, or ways to improve the experience? Tweet at us using hashtag #whartonimpactconf. You may have noticed a SiriusXM booth recording live on the conference floor. 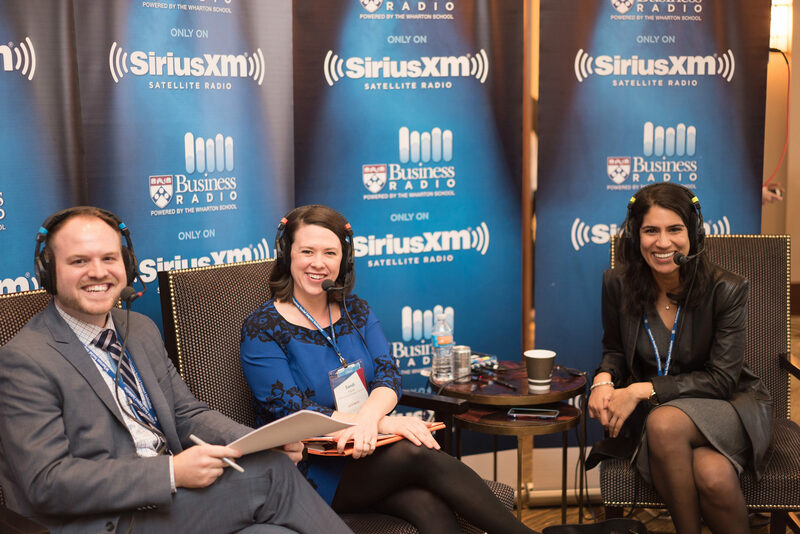 Throughout the day, hosts of “Dollars and Change” interviewed attendees for a new episode on SiriusXM Business Radio Powered by the Wharton School. Rehana Nathoo, the Vice President of Social Innovation at the Case Foundation shares insights on the Case Foundation’s recent work on their Network Map, which debunks common myths around impact investing and breaks down the field of impact investing so that it is understandable to investors and the impact investing curious. Ric Geyer, the President of Valkill Furniture, explains how he is using job creation to address the disparity of hope among the previously incarcerated and under-skilled workers. He also discusses how we can help address the cycle of poverty by providing employees with equity in the companies they work for. Lisa Nutter, the former First Lady of Philadelphia and current Advisor at Sidecar Social Finance, and Melissa Bradley, Co-Founder of Sidecar Social Finance, discuss the work that their firm is doing to help other firms define, develop, and scale their impact investing strategies.